So you want 64 PCIe lanes and do not want to spend $800 on a Ryzen Threadripper 1920X or $1000 on a 1950X? AMD has an answer for you in the AMD Ryzen Threadripper 1900X. As one may guess, this is above the Ryzen 7 1800X in the SKU stack. 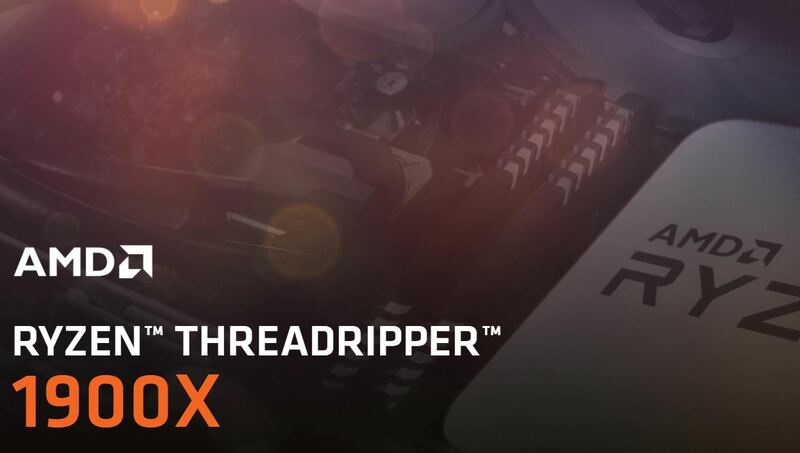 With a $549 MSRP, the 8-core/16-thread Threadripper 1900X is completely intriguing as a case study. 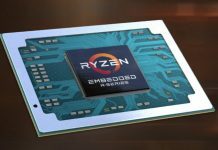 AMD claims that it bins Ryzen dies to use only the top 5% for Threadripper CPUs. It also claims that it will be delivering X399 NVMe RAID on September 25, 2017. NVMe RAID 0, 1 and 10 are said to be supported. 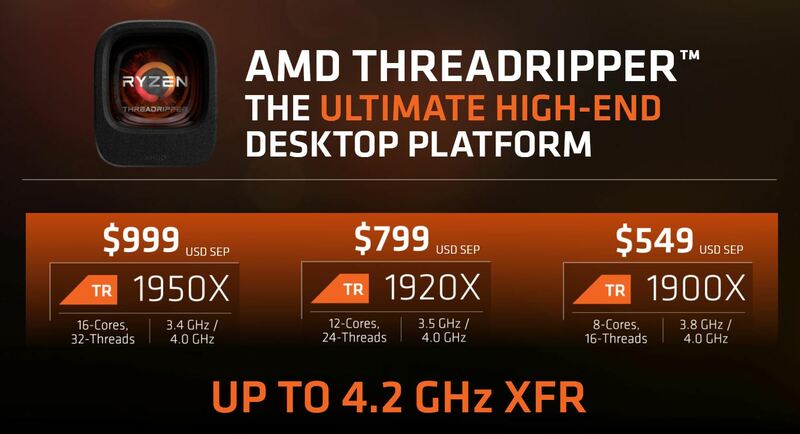 If you want the AMD platform and saving $250-$450 is worth losing a ton of performance, this is the CPU for you. The elephant in the room here is that on the Intel side, going NUMA means going Intel Xeon E5 or Intel Xeon Scalable. 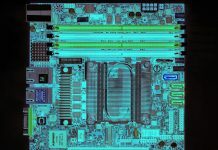 Getting a used Intel Xeon E5-2600 V3 or V4 system can be quite cost competitive but give you more cores, more cache, more DDR4 channels (with ECC RDIMM support), more PCIe lanes and etc. The Intel Core i9 and i7 series CPUs are a single NUMA node and there is a newer offering in the market for HEDT, the Intel Xeon W series of workstation processors that changes single socket HEDT calculus even more. At STH, Patrick and William are building Threadripper 1950X workstations at STH, I am staying with my dual Intel E5 V4 setup. AM4 v. TR4 motherboard cost is a huge difference. The TR4 socket is more expensive, vendors have to use more PCB traces for additional memory channels and PCIe lanes. While it is easy to find a $100 motherboard for a Ryzen 7 system, the Threadripper counterparts cost well over 3x that amount. 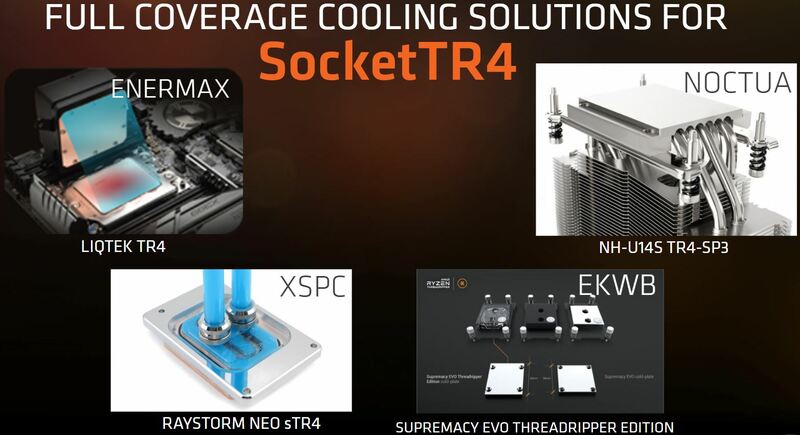 TR4 costs more to power and cool. Having an additional active die and an active Infinity Fabric (on package) link on each die means we will see higher power consumption. TR4 also generally requires a liquid cooler such as the Corsair H100i V2 at over $110. Conversely, the AMD Ryzen 7 1700 can be overclocked using the included air cooler. The AMD Threadripper 1900X has Infinity Fabric. AMD’s on-die interconnect between cores is very fast. At the same time, we have done AMD Infinity Fabric latency measurements and the die-to-die traffic on an AMD package is about equal to Intel’s socket-to-socket performance. 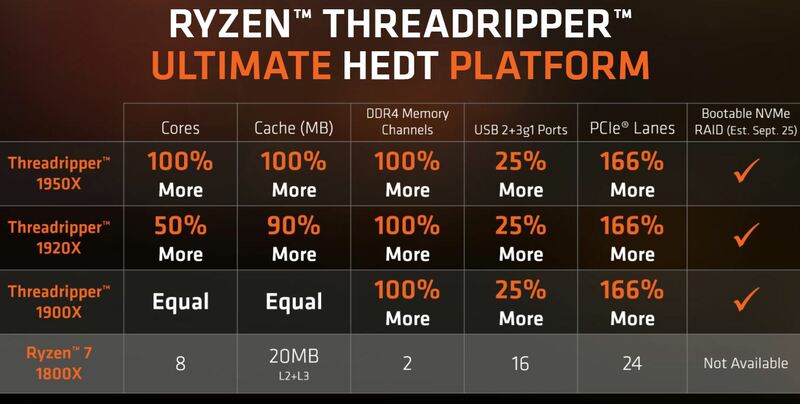 Ian @ Anandtech did an awesome job detailing the performance impact of the two die Threadripper solution. 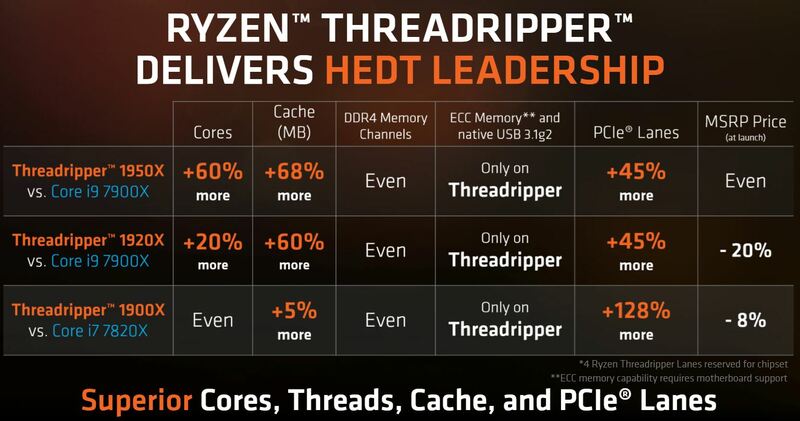 On the other hand, if you want a “big” AMD desktop platform, and do not need a ton of CPU cores, then the Ryzen Threadripper 1900X is an interesting choice. Then again, if you are looking for a big platform as a server, the AMD EPYC 7251 which is scheduled for production today (August 31, 2017) is an even less expensive option with more RAM capacity and more PCIe lanes. One area that needs to be addressed is that a full release (with webcast) for a single midrange CPU SKU is crazy. Threadripper 1900X competes with i7-7820x so where is the Elephant? Since 1900x is cheaper, has more PCIe-lanes, can be cooled with an air cooler I think it is best to buy an Intel i7-7820x because it cost more, has less PCIe-lanes, needs at least an AIO watercooler. Intel Xeon E5 or Intel Xeon Scalable competes with EPYC not with Threadripper. Second hand is proven technologie with no warrenty. “Intel Xeon W series of workstation processors that changes single socket HEDT calculus even more”. 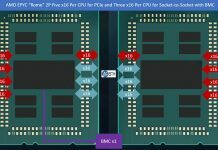 Ever heard of EPYC single socket? Threadripper 1950x has about the same speed as a dual socket Haswell E5-2687W v3 in Resolve, Premiere Pro, vPro, etc… both systems equiped with 128 GB RAM. Have seen it, but still don’t know why anyone would want a bootable NVMe RAID. SATA SSD (850 EVO) is still faster booting on windows then 3 raid0 samsung 960 pro’s. I see the 1900x as a cheap way to go to 1950x later when you have the money … other than that .. at it`s current pricing and the platform is kinda hard to look at it.